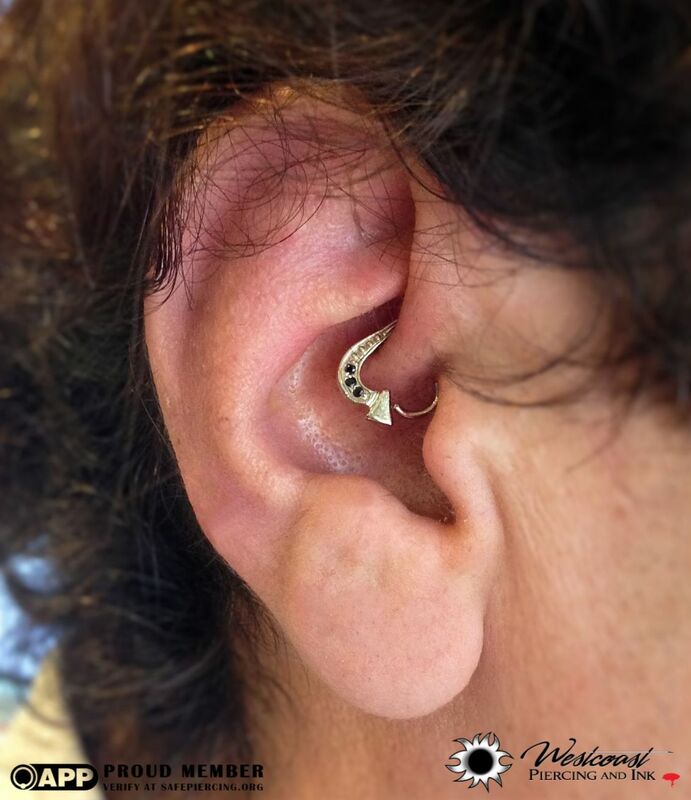 Westcoast Piercing And Ink: This daith was pierced with a 14k Spade seam ring by LeRoi. This daith was pierced with a 14k Spade seam ring by LeRoi. Thank you Elaine for your kind words. I'm glad your experience was an enjoyable one. It gives me great joy to hear such appreciation. I wish you speedy healing and If there is anything else I can do for you in the future, feel free to ask.